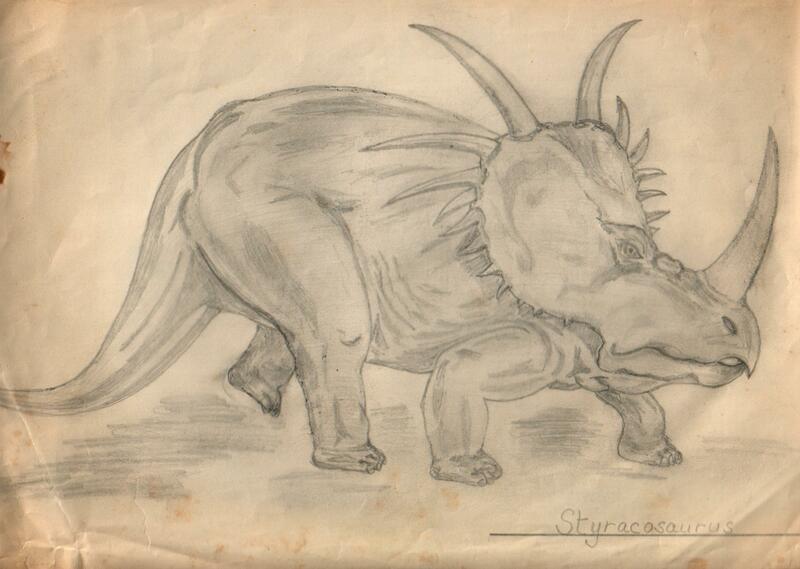 Styracosaurus. Check out all those spikes! I think it's cool that this picture and the Triceratops one so neatly capture the different characters of centrosaurine and chasmosaurine ceratopsids.